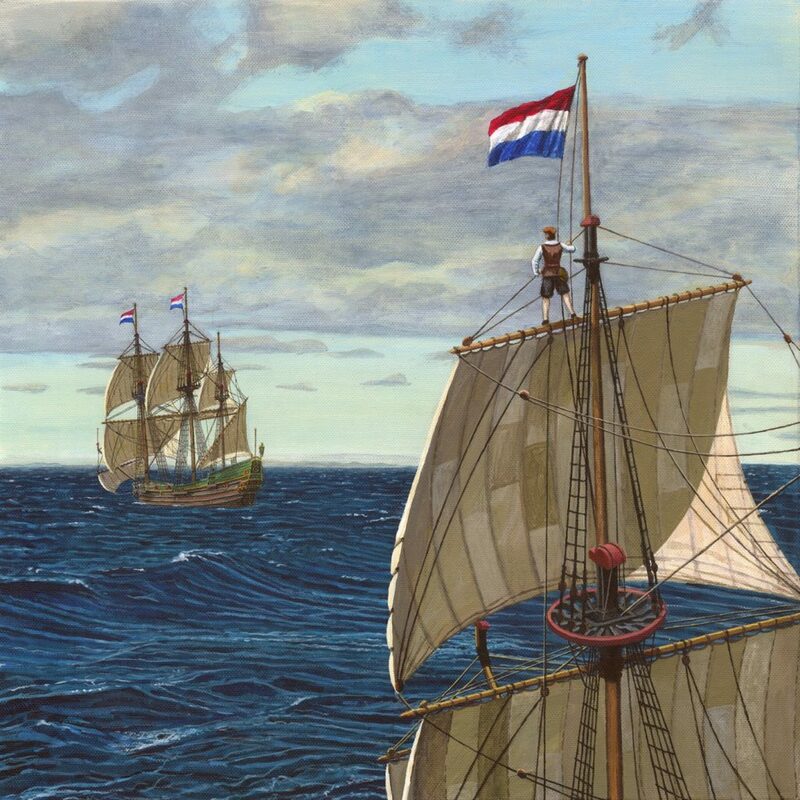 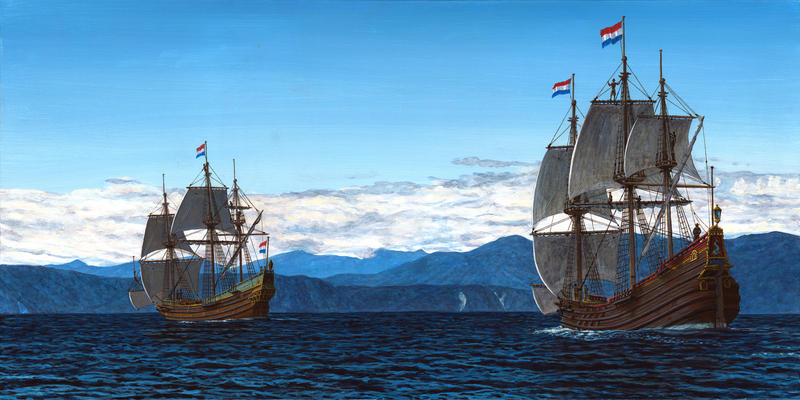 These ship paintings are based on Robert Jenkin’s 2014 reconstructions which appear below, and those are largely based on Hoving and Emke’s reconstructions in The Ships of Abel Tasman (2000). 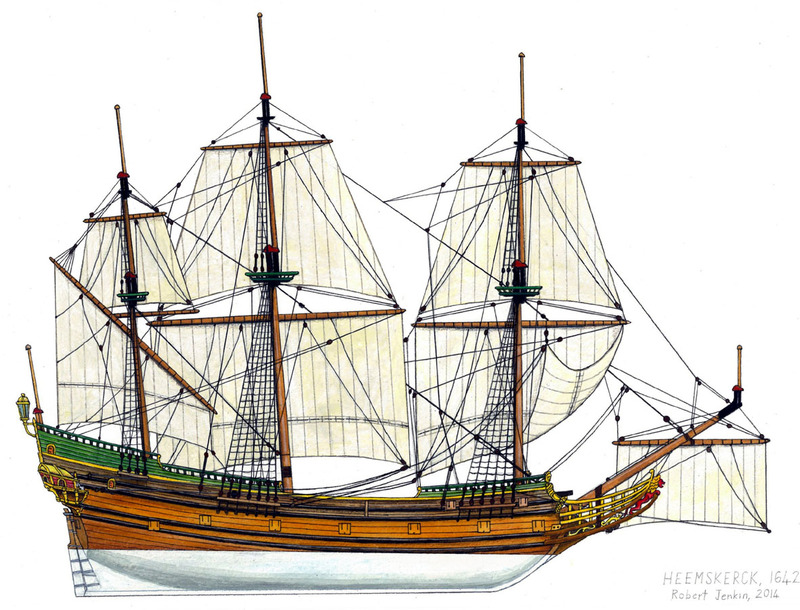 Two minor differences are mizzenmasts and waist storage of large open boats. 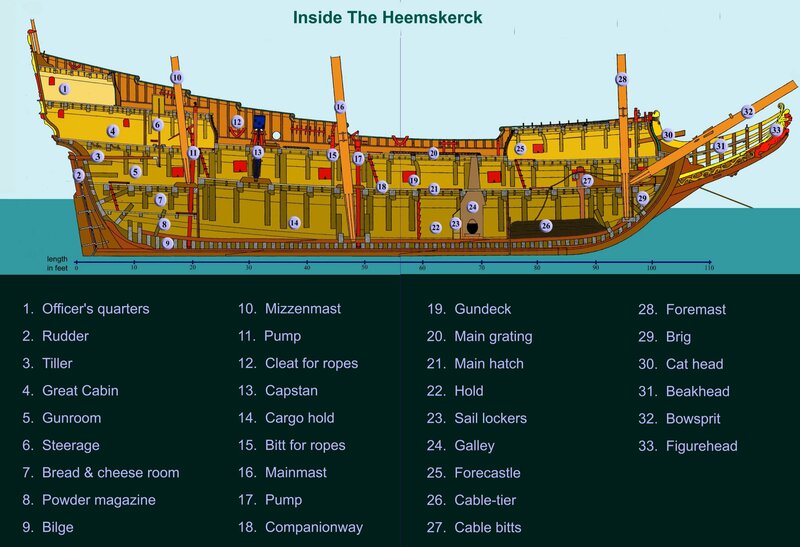 The Sailor’s Journal speaks of lowering and raising a mizzen topmast while in ‘Zeehaen’s Bight’ so Heemskerck must have carried one some of the time. Ab Hoving’s reconstructions do not have one, but in a private communication he acknowledged the Sailors Journal evidence and went on to say a mizzen topmast probably meant a mizzen topsail too. 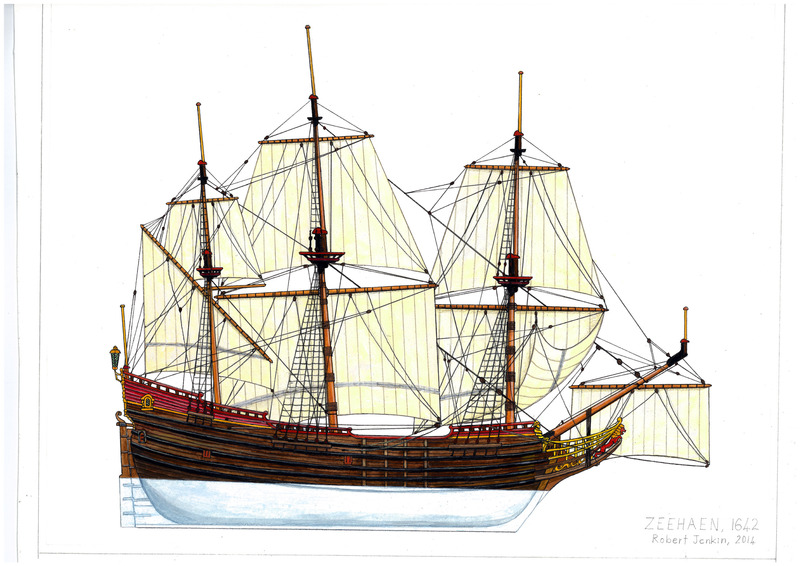 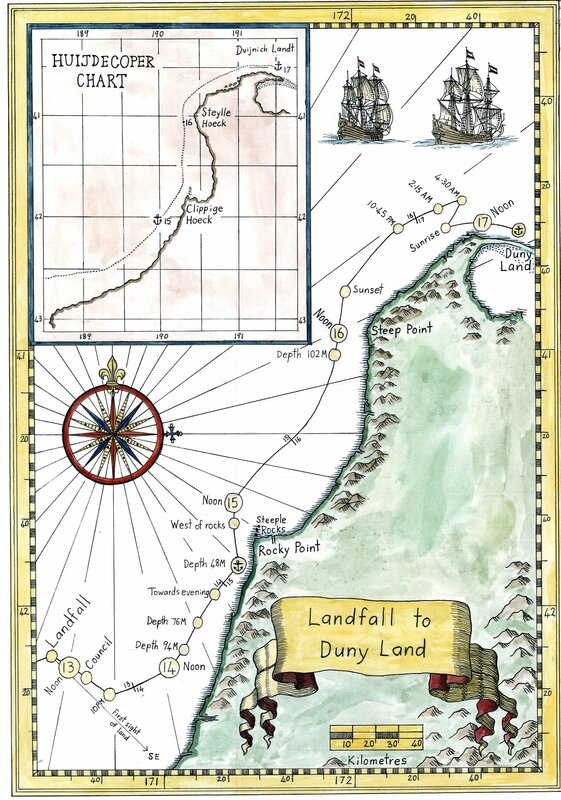 It was also concluded at the Abel Tasman 370 Seminar in 2012 that the large boats were carried in the waist rather than towed in open sea, as there is mention in the Tasman Journal of their being put in and out.